[0:22] <iron_manaf> t3chguy: what are you doing with youtube and your raspberry pi or are you just trying to benchmark some stuff? [0:23] <iron_manaf> are you sure it isn't anything to do with your network and not the pi itself? [0:28] <t3chguy> iron_manaf: which pi you on, which distro and whats your youtube performance like on what display output? [0:38] <iron_manaf> And you said you tried running the graphics at a higher MB? [0:38] <iron_manaf> and it didn't do anything to help? [0:40] <iron_manaf> That's probably because omxplayer is optimized to actually use the graphics processing that the pi has and i'm not sure if the default browser on the pi does. [3:58] <mattwj2002> does anyone know there is a good way to hook up something like a wireless xbox or playstation controller to a raspberry? [4:39] <Kamilion> there's also a "wireless microsoft xbox adapter" for wireless 360 controllers, which show up as XINPUT devices. [4:40] <Kamilion> I've had three or four of them and they always seem to die after a while. [4:41] <Kamilion> it's wired, but the cable's more than long enough for me. [5:24] <Kamilion> it's real simplistic though -- a joystick, two buttons, and xyz accel. [5:27] <Kamilion> this one, I think. [5:33] <Kamilion> mattwj2002: I've dealt with them for a number of years for the ROS Robot Operating System on Ubuntu, since ~2010ish. [5:34] <Kamilion> I've got a youtube video piloting a robot around with a PS3 controller I could link. [5:35] <Kamilion> they're extremely simple and inexpensive devices internally. [5:36] <Kamilion> Oh, that amazon link says it works as a USB hid controller. [5:36] <Kamilion> the SNES pad thing. yes. [5:38] <Kamilion> it's really useful if you have a OTG adapter, because you can push a new bluetooth address into the controller by typing it in on the phone. [5:40] <Kamilion> as long as the bluetooth receiver on the PC is working, it doesn't often fail. [5:40] <Kamilion> so if the lights on the controller go solid, and a player light shows up, it works. [5:42] <Kamilion> I'm, uhh... A fiddler though. [5:45] <Kamilion> two triggers, two shoulder buttons, four face buttons, start and select, two sticks, the dpad in the upper corner. [5:46] <SyncYourDogmas> Excuse the noob question, but how do you attach stuff to the GPIO pins? Do I have to actually solder them, or can I just wrap rhe wires or something? [5:47] <Kamilion> these are kind of short, but get the message across? [5:48] <SyncYourDogmas> Is that the easiest way? [5:51] <Kamilion> Lots of little kits like this around. [5:51] <SyncYourDogmas> But I do need to buy a mit? [5:54] <Kamilion> like, if you just need five to do 5V, 3.3V, SDA, SCL, and ground. [5:56] <Kamilion> maybe this will be easier if I just take a picture for you. 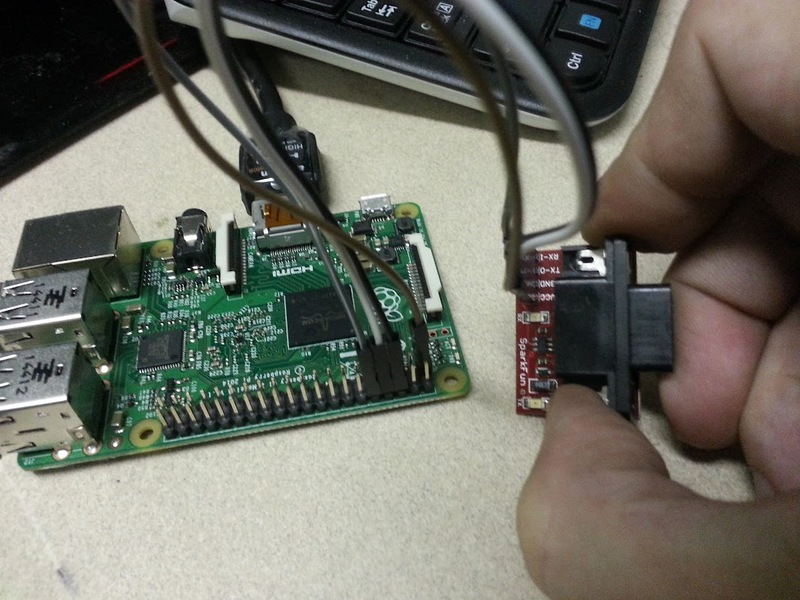 [6:14] <Kamilion> This is a serial port hooked up to the 3.3v line, the ground, and the TX and RX gpio pins. [6:15] <Kamilion> that make sense a bit better? [6:16] <SyncYourDogmas> So these are just the wires that connect the devices to the pins on the pi? [6:17] <Kamilion> this specific one has a level converter built in. [6:17] <Kamilion> so it's important to correctly choose the 3.3v level for the pi's side. [6:17] <Kamilion> on the serial board, it's simply labeled as "VCC"
[6:20] <Kamilion> if soldering's not your thing, there's also some neat things you can do with crimping leads. [6:21] <Kamilion> yeah, if the LEDs are supposed to be permanant, but the pi isn't? [6:22] <Kamilion> I've used it a couple times, but it's not something I'd really recommend. [6:25] <Kamilion> so I'm not afraid to cut it up and use it. [6:31] <SyncYourDogmas> Would they work with the pi? [6:31] <Kamilion> oh yeah. Absolutely. [6:35] <Kamilion> that youtube video should bring you up to speed very quickly. [6:38] <Kamilion> should cover almost every question you've asked other than hooking it up to the pi. [6:39] <Kamilion> 7 minutes, LEDs, how to make nonpermanant connections, breadboard explanations. [6:41] <Kamilion> electrical tape is your best friend next to duct tape and dogs. [6:42] <Kamilion> and occasionally gaffer tape. [10:38] <tjcarter> I do wish they'd QR the links in that magazine for convenience. [10:43] <tjcarter> Battery's stone cold dead, and I have no idea where I'd find the weird shaped flat NiCd cells needed to power it up on battery. But it has its original (linear!) 500mA 12v power wart, so I'm running it off that for now. [10:44] <tjcarter> I'll probably send it off to the MAME folks for archival if they don't already have this exact version, I don't really "need" it. [10:45] <tjcarter> But I dug up a command set and am making it do its thing. 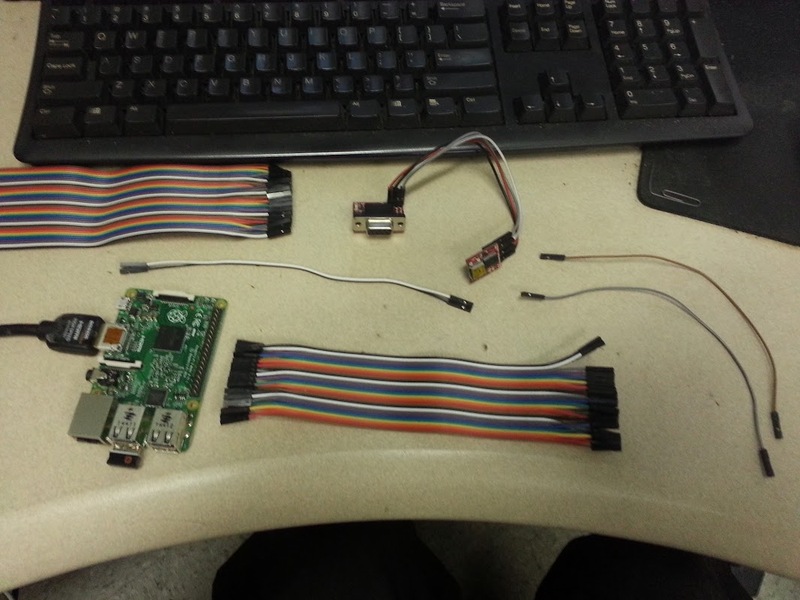 [10:49] <Davespice> tjcarter: you using the Pi GPIO uart or an usb to RS232 adapter for that? [10:50] <tjcarter> FTDI adapter--I don't have a MAX232 or similar handy. [10:51] <tjcarter> But I did have my RS232 FTDI adapter. [10:53] <tjcarter> No reason it couldn't be done out of the UART if you had some level conversion though. [10:54] <tjcarter> I guess you can still get real CP2102 chips, but for how long? [11:30] <tjcarter> Oh interesting. These DEC MMJs are not really RS232. [11:32] <tjcarter> Kind of a hybrid between RS422 and RS232. [11:38] <tjcarter> Yeah, I think I actually like this serial standard. [13:11] <mezzobob> Hi someone using cups around? [13:34] <gregor3005> this is was i did to reproduces the problem with the firewall "while true; do service apache2 restart; sleep 10; done"
[14:16] <gregor3005> what can be the problem when i enable nat on a zywall firewall to the rpi and that rpi crashed for example when i restart apache2. when i disable nat i have no problem with the rpi? [15:12] * tjcarter has concluded that he needs to build himself a mechanical hex keypad. [15:14] <tjcarter> why not? Surely you don't expect me to use octal! [15:14] <thescatman> on the off chance... anyone have experience with the NCase M1? [15:18] <TheLostAdmin> I was toying with putting a Pi in an old Mac Classic case for the retro feel of the thing. That's one reason. [15:19] <tjcarter> thescatman: hopefully a dead Classic? [15:19] <TheLostAdmin> You broke your wii? [15:20] <thescatman> that's what I'm hoping. It gets a little toasty so the fan's a nice addon. [15:54] <altos> shiftplusone: great idea, thanks! [16:28] <niston> will there be an updated mono package? [16:28] <shiftplusone> That's a question for debian people, isn't it? [16:29] <niston> the package comes from debian repo? [16:32] <tjcarter> niston: the package does come ultimately from Debian. At some point Raspbian will move to Debian jessie, at which point jessie's version of mono will be part of Raspbian. [16:33] <shiftplusone> the foundation's image of raspbian, on the other hand, is still on wheezy. [16:35] <altos> shiftplusone: Any idea where I can also check the changes I've made in files? [16:36] <shiftplusone> /etc files or what? [16:38] <shiftplusone> if you've made changes in /bin, you're doing it wrong. [16:38] <humbag> errm, what's that about the repo? [16:39] <shiftplusone> raspbian.org or raspberrypi.org repo? [16:39] <TheLostAdmin> oh god no! You're going to make me use systemd soon, aren't you? [16:39] <shiftplusone> TheLostAdmin: yeah... and we'll make you like it. [16:39] <humbag> is it considered testing or should i just upgrade if i'm used to debian? [16:40] <shiftplusone> humbag: the raspberrypi.org jessie repo is not ready. [16:40] <shiftplusone> systemd is just waaaaaay nice, once you get used to it. [16:40] * shiftplusone ducks all the things getting thrown at him. [16:41] <niston> but that package stuff is confusing me. so libmono-2.0 is mono-complete? [16:47] <shiftplusone> humbag: indeed... the raspberrypi stuff is stuff the foundation adds on top of stock raspbian. [16:49] <NullMoogleCable> is there a test image for a Pi that just stress tests the board to see if it is dammaged or has enough cooling for over clocking? [17:10] <tjcarter> Turn down the overclock? [17:10] <tjcarter> I backed mine off of 1100 and I know this board's RAM canot overclock basically at all. [18:56] <testman> as in Nvidia Shield? [18:58] <niston> needs an nvidia card though, does it? [19:01] <niston> you could try streaming the desktop with something like ffmpeg perhaps? [19:03] <niston> hence why you need usb "forwarding"
[19:05] <niston> what about audio? [19:08] <niston> didnt work as in frame rate too low? [19:11] <niston> what kinda host are we talking about anyways? [19:12] <niston> vok sure why not? [19:13] <niston> testman: what framerate did vlc achieve? [19:13] <vok`> niston, oh ok, thanks. That's actually what I thought at first. But then I was wondering about drivers or something. [19:13] <vok`> niston, but since it's USB, it should just work, right? [19:14] <niston> vok`: designing something for the compute module? [19:19] <vok`> niston, wow I forgot about that. [19:19] <vok`> niston, thanks for reminding me. Yeah I guess I am now! Haha. [19:19] <vok`> I've gotten interested in the Pi again after the release of the new version. [19:19] <niston> you do PCB design? [19:20] <vok`> I could probably figure it out, though. [19:20] <vok`> I was at a hackerspace for awhile. [19:21] <vok`> I've been meaning to get back into electronics. I think now is the time. [19:22] <vok`> niston, I think what I've decided to do is DSP/music stuff. [19:23] <vok`> Right now I'm working on a music visualizer for the Pi. [19:23] <vok`> But it also incorporates Arduino and RGB LEDs. [19:23] <niston> visualizer as in FFT spectrum? [19:23] <vok`> I convert it into visuals. [19:24] <vok`> And light pulses. [19:24] <vok`> I also wanna do some realtime sequencing capabilities. [19:24] <vok`> I had a station going once. [19:24] <vok`> Frostcast? I think it was. [19:24] <vok`> That's really cool. [19:25] <vok`> Did it use the GPIO? [19:25] <vok`> Wow, you're like a wizard. [19:29] <vok`> Wow, that is awesome! [19:31] <vok`> To the electro-deity? [19:33] <niston> yeah. also have to account for the assembly line. [19:34] <vok`> niston, does the compute module include the GPU? [19:34] <vok`> The GPU is on the chip right? [19:34] <vok`> Ah ok, right. [19:34] <vok`> niston, I've been away for awhile I guess you can tell. [19:34] <vok`> I'm getting a TV and a Pi 2 soon. [19:35] <vok`> Ah good, thanks. [19:35] <vok`> I can wait. [19:45] <ring0> yeah, also, there are pcb tools, which do length compensation based on the structure of the layers on the pcb for lvds f.e. [20:09] <niston> best would be to partner with someone that has it. I could put much needed focus on the sofware side of things then. [20:40] <mezzobob> Hi someone using cups around? [20:41] <shiftplusone> mezzobob: ask for information, not for people. [20:41] <mezzobob> i use a pi as cups server but i will not print. There are no errors in error_log and Pages a listed in page_log but the printer does nothing i installed the cups wrapper from "bother". [20:44] <TheLostAdmin> Has anyone put Windows 10 on a Pi yet? If so, did it have a GUI? If not, what do you do with it? [20:44] <at0m> powershell!! lol. just kidding. windows. [20:45] <shiftplusone> TheLostAdmin: it's meant to be used like an arduino, but not. [20:46] <TheLostAdmin> So ... it's meant to run Linux. Then what is the point of Windows 10? [20:47] <shiftplusone> what's meant to run linux? [20:47] <TheLostAdmin> those small board thigns like arduinos that aren't arduinos. [20:48] <shiftplusone> the point of windows 10 is that the people in that ecosystem have options too. [20:48] <TheLostAdmin> I have a GUI on my Pi with Raspbian. [20:49] <shiftplusone> t3chguy: is hasn't? what? [20:51] <TheLostAdmin> I was hoping for something along the lines of Windows Phone (or their tablet) interface. [20:51] <shiftplusone> TheLostAdmin: nope, that's not what it's for. [20:54] <Roonix> What's Arch like on Raspberry Pi? Anyone here using it? [20:56] <Roonix> is performance good on Pi 1? Can you get all the same stuff from the repos, i.e gnome desktop etc? [20:57] <at0m> Roonix: good performance on a single core at 700MHz? [20:58] <shiftplusone> tjcarter: which subject? [20:58] <tjcarter> shiftplusone: Desktop Linux distribution performance on the Pi. [20:58] <tjcarter> Roonix: Gnome will run like crap on the Pi. [20:59] <tjcarter> LXDE is kind of passable on the Pi 2. [20:59] <tjcarter> shiftplusone: Basically that performance even on the Pi 2 is never going to be stellar. [20:59] <tjcarter> not with a desktop Linux distribution. [21:00] <tjcarter> It's a mobile-class SBC, and it needs to be running a mobile-class environment. [21:00] <tjcarter> I'd argue LXDE is too heavy given that. [21:00] <shiftplusone> Roonix: the raspberry pi foundation used raspbian for everything and when we tweak things, that's where it ends up. Whether or not other distros grab any of those changes or informt heir users of what those changes are, is up to them. More often than not, they don't. [21:01] <tjcarter> Yeah, it gives us lots of apps, but the fact is that most of those apps aren't terribly good on the Pi anyway. The apps that are good on the Pi don't really need LXDE except by default. [21:02] <tjcarter> shiftplusone: I followed that with some thoughts of where to go with it, development-wise. [21:03] <tjcarter> The side-effect of it all would be a system that's as close to instant-on as NOOBS is. [21:05] <shiftplusone> tjcarter: I agree with you to a point. I was hoping the pi would be used to write cool demos like in the c64 days and people wouldn't be using Xorg at all. [21:06] <tjcarter> shiftplusone: On that I agree. Wayland, not wayland, I don't care. It's kind of time to start using that GL-capable framebuffer. [21:07] <shiftplusone> but that's not quite enough, until there's anything you can do with it other than drag some windows around and watch them wobble or something. [21:07] <tjcarter> shiftplusone: The problem for the C64-style demos is that those demos tend to need to run close to the metal and Linux makes that hard. [21:07] <shiftplusone> psh, the 3d core is open... poke around all you want, with linux or without. [21:09] <tjcarter> Bare metal would be more of an option if you didn't have to dig through everything to figure out how any of it works. [21:09] <shiftplusone> the peripherals manual is fairly easy to follow to get the basic functionality going. And there are plenty of examples to go on now. [21:10] <tjcarter> The C64 had manuals for the documented everything. There's not really much of that for the Pi. A github account is as close to developer documentation as you can find. [21:12] <shiftplusone> So I think if someone wants to use the pi as a platform to learn the gritty stuff, there's a lot that can be done in a fun way. [21:13] <tjcarter> shiftplusone: I note that sofar you've posted links to three things the Pi 2 is exceptionally sluggish to be able to open. [21:14] <tjcarter> I might have to play with that one. [21:14] <tjcarter> shiftplusone: and that's one of the things I would like to see change--but we need a mobile browser on the Pi to accomplish it. [21:14] <tjcarter> one with modern standards pls. [21:18] <tjcarter> shiftplusone: I'm honestly not sure what to target. wheezy's libs are too old to compile modern software, and the packages wouldn't work on jessie if they did. I've tried a few backports with mixed success. But really it's time to target jessie. But jessie seems not to be actively developed yet. [21:18] <shiftplusone> what do you mean when you say that jessie is not actively developed? [21:19] <tjcarter> I mean that the basic tools that make it not just Debian don't appear to have been changed at all, and they don't work right. [21:29] <shiftplusone> aand I'm off. Take care. [21:42] <tjcarter> Kitt3n: I don't know what the problem actually is because I don't understand systemd and how Debian's stuff doesn't work with it right. [21:43] <Kitt3n> maybe you should instead of saying "it doesn't work", actually name the issue, oh and learn "how systemd works." lol. [21:43] <tjcarter> I do know that somehow some part of freedesktop's dbus crap made it so my system could not shut down or start up, broke init, and corrupted my filesystem in the hard shutdown resulting in me declaring it not yet fit to run. [21:44] <tjcarter> But when I lost my work and was told "you shouldn't be running that yet", I didn't bother to recreate it. [21:45] <tjcarter> It's easy to take a crap on anyone who has an issue on one hand, but when they meet hostility trying to fix the issue themselves, it kinda reflects badly. [21:51] <Kitt3n> dist upgrade to jessie, and be back on track, lol. [22:15] <Kitt3n> ali1234, if you take 2 Pis, same software, and dist upgrade, you get the SAME dist upgraded software, no? [22:16] <tjcarter> I would suggest doing it from a minimal image if you're gonna do it. [22:22] <parityDrive> Anyone know if there is a security camera kit? [22:23] <H__> parityDrive: what exactly do you mean ? / compared to regular pi camera ? [22:23] <parityDrive> I meant with everything, camera, sensors etc. [22:24] <parityDrive> Its tiny and roughly costs $120 for everything. [22:24] <BilbyMac> t3chguy hmm… are you using straight HDMI or using an adapter to VGA or something? [22:25] <parityDrive> ya I was just seeing if there was a kit. [22:26] <BilbyMac> t3chguy hmm… i’m not sure on that. maybe something is waking the display periodically? [22:27] <parityDrive> 720p is more than enough. [22:28] <parityDrive> is that for pi Kamilion? [22:28] <t3chguy> BilbyMac: any ideas what I can do? [22:30] <BilbyMac> Check this out yet? [22:31] <swiss> anyone else here do ambilight stuff with the pi? [22:31] <Kamilion> parityDrive: that's as close as I can come to 'kit' -- almost all the purchases were made from the same vendor via ebay. [22:31] <Kamilion> parityDrive: so if 'arriving in the same box' is all you need, that might cover it. [22:31] <t3chguy> BilbyMac: "Server does not have the DPMS Extension"
[22:32] <BilbyMac> what distro are you using? [22:32] <Kamilion> this is the one you'll find everywhere. [22:32] <parityDrive> how is this? [22:35] <parityDrive> comes with illuminator? [22:36] <Kamilion> parityDrive: are you in california, perhaps? [22:36] <Kamilion> I ended up buying it there instead of ordering it online. [22:40] <Kamilion> Encrypt: i do use utox, why? [22:40] <Kamilion> yeah, the guy had a skype account. so? [22:41] <Kamilion> I don't read chinese. [22:43] <Kamilion> Encrypt: my tox id is BC67DD7FF7EEF32BF5A0007589EB186DDEF22A67341A82ABBDB4E625D088AC5B195918886539 in case you were wondering. [22:43] <Kamilion> ali1234: sounds accurate. [22:45] <Kamilion> ali1234: depends on what the bugs are. [22:45] <Kamilion> although it seems IRC has managed to survive OSCAR's untimely death. [22:47] <Kamilion> I was on compuserv. Octal-land! [22:49] <Kamilion> wish I had a usenet post to point at from the early days when gopher and FTP still ruled the internet. 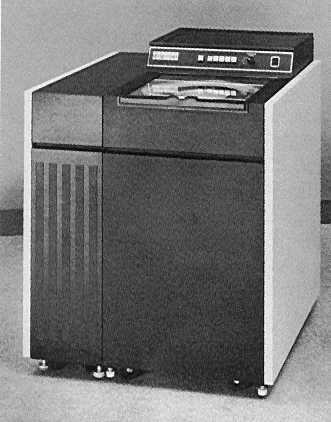 [22:51] <Kamilion> http://www.tpsoft.com/museum_images/CDC%20Hard%20Disk%20Pack%202.JPG This monster used to be how large amounts of data were shared, long ago. [22:52] <Kamilion> I'm not normally supposed to know all this for my age, I suppose. [22:52] <Kamilion> I just grew up in the middle of silicon valley. [22:54] <Kamilion> I wouldn't exactly call it lucky; but I'll take it anyway. [22:54] <Kamilion> I started out with nothing and still have most of it left. [22:55] <Kamilion> so i got to play with a lot of HP gear between the hours of 3PM and 6PM. [23:02] <Kamilion> my dad had a fax line that was only used maybe twice a day during buisness hours... as long as I was making local-calls, I could dial into anywhere in a ~15 mile radius. [23:03] <Kamilion> at one point I had this little toshiba 386 with a built in 28.8 modem; and I had patched into the phone line socket the payphone at the public library was connected to. [23:06] <BilbyMac> did you ever have Kid Pix? [23:07] <Kamilion> what's funny -- I never went to middle school or high school -- the only reason I know algebra is math blasters and computer programming with variables. [23:08] <Kamilion> I really wish there were more games like that. Frog Fractions just isn't the same. [23:11] <Kamilion> I can honestly say I've spent the last twenty years sitting in front of CRTs and LCDs and regretting very little of it. [23:11] <Kamilion> Hopefully I inspire others to have fun with it too. [23:14] <swiss> t3chguy: trying to control hdmi monitor stuff? [23:15] <t3chguy> Well, trying to make my monitor go off when the pi "puts it to sleep"
[23:21] <Kamilion> t3chguy: really? How strange. Not only does it work for me, it annoys the heck out of me because I can't figure out how to turn it off. [23:23] <CoJaBo> the port it was pleb into was busted. that was it. [23:24] <t3chguy> Kamilion: what does `xset q` return? [23:25] <t3chguy> Kamilion: got a link to the image you used? [23:27] <t3chguy> Kamilion: how would that be useful to me? [23:29] <Kamilion> EG, you can load the ubuntu-mate image, chroot into it, change the packages all around, and you end up with a new image. [23:30] <Kamilion> https://github.com/kamilion/kamikazi-deploy <--- this is my xen appliance. [23:31] <Kamilion> PPAs are just too darn useful. [23:32] <Kamilion> BilbyMac: yep, the smart ones are hard to catch. [23:33] <Kamilion> Aye, you should. [23:34] <Kamilion> or pay for whatever streaming service offers it. Unless they offer adbacked HD viewing. [23:34] <Kamilion> like crunchyroll.com does. My adblockers just seem to clean it spotless. [23:34] <Kamilion> I've paid for it for three of the last five years. [23:36] <Kamilion> there's how many billion of us on the planet now? [23:37] <t3chguy> Kamilion: do you happen to know what Desktop Environment Ubuntu Snappy Core ships with? [23:41] <parityDrive> Kamilion: what do you think of this? [23:43] <Kamilion> parityDrive: nice kit -- greenboard too, so that's not from uctronics... It's also the older 'side-panel' design. No real problem with it that I can see. [23:43] <BilbyMac> so it’s the NOIR camera with a little board with a couple of IR LEDs on it? [23:44] <parityDrive> uctronic ship to canada? [23:48] <parityDrive> no idea what 3 source/screw on are. [23:50] <Kamilion> the newer one uses a little plastic power connector, and has three LEDs, and looks like a ring that fits around the lens. [23:50] <Kamilion> and it's all one unit. [23:53] <Kamilion> the ebay side says ships worldwide except to the UK.